Because of YOU, We are POPULAR! 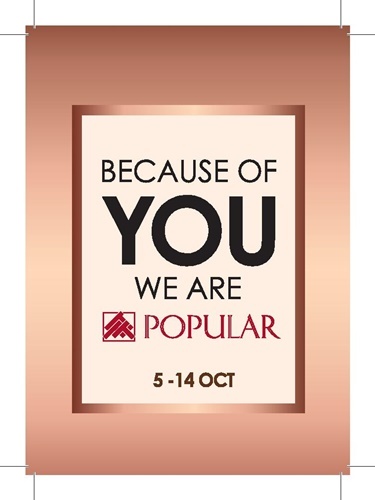 From now till 14 October, POPULAR Bookstores will be having an exclusive members’ sale in appreciation of their loyal customers! 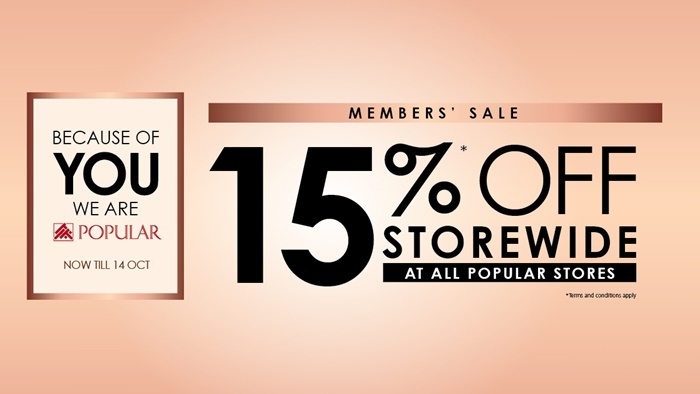 All POPULAR members can enjoy 15% off storewide at all its bookstores, which can be applied on top of selected products offering up to 40% off. 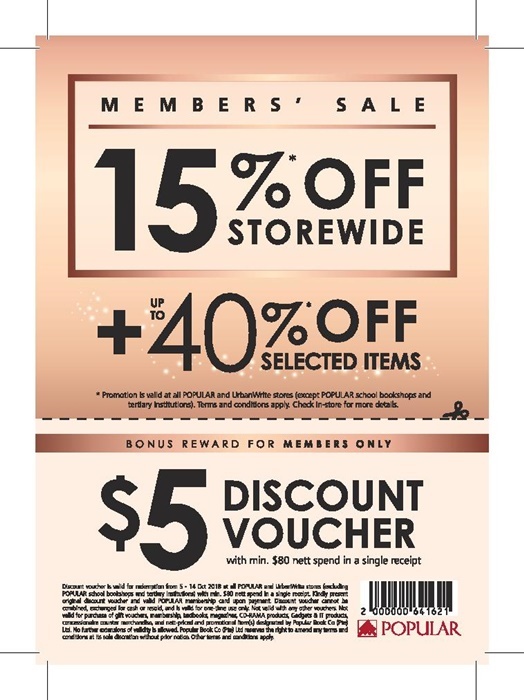 1) POPULAR members can enjoy 15% off storewide, which can be applied on top of selected products that are already offering up to a whopping 40% off! 2) If you had visited a POPULAR and UrbanWrite store anytime from 24 September to 4 October, you’d have received a $5 discount voucher to be used at this sale! Members simply need to spend a minimum of $80 nett in a single receipt to use the discount voucher. 3) Pay with your NTUC/OCBC PLUS! Visa Card when you spend a minimum of $50 nett in a single receipt and receive a $5 Cash Voucher, which can be used at its largest book and stationery extravaganza – BookFest@Singapore 2018 – coming up in December! 4) With such amazing offers, there’s no better time to become a POPULAR member. What’s more, POPULAR is throwing in yet another perk to seal the deal: Sign up for a 3-year membership and get 15% off membership fees instantly! Look out for the WIN-WIN Notebook that will be launched in conjunction with this members’ sale on 5 October! Take a look at the 4 designs from the Designer Collection of notebooks – Bronze Brushes, Silver Motifs, Golden Geometry, and Rosette Sparks. Get lucky and win big with the WIN-WIN Notebooks as you’ll stand a chance to win up to $10,000 CASH with every notebook purchased. POPULAR is happy to be celebrating its long history and sharing these amazing deals with its customers! This exclusive sale is POPULAR’s way to show its gratitude for giving them a chance to serve the people. Come and visit a POPULAR store near you from 5 to 14 October to rejoice and enjoy all the rewards and special offers! Sign up or renew your POPULAR Membership at 15% off! Promotion is valid at all POPULAR and UrbanWrite stores (except POPULAR school bookshops and tertiary institutions). POPULAR has exclusive goodies for Our Parenting World – OPW Media’s readers and followers! POPULAR would like to share an e-voucher for you to enjoy discounts off your purchase! Simply flash this voucher below on your phone upon payment. Don’t miss this opportunity to snap up great deals at this members’ sale till 14 October! Happy Shopping!